The Sioux Empire Farm Show is quickly approaching. From Jan. 22-26, livestock producers, agricultural professionals, students and western lifestyle enthusiasts will flock to the Sioux Empire Fair Grounds for fun, fellowship and livestock shows, sales and judging contests. Among the crowd will be Jim Woster, a familiar face to South Dakota’s agricultural industry, who has spent his entire working career and retirement tirelessly promoting and supporting the state’s farmers and ranchers. Selected as the 2019 Agri-Business Citizen of the Year by the Sioux Falls Area Chamber of Commerce Agri-Business Division, Woster is the first person to be recognized with this honor twice in the show’s history, having previously won the award in 1987. Woster is a native of Reliance, S.D., who began working for the Sioux Falls Stockyards in 1962 after receiving a Bachelor’s degree in animal science from South Dakota State University. During his time at the Stockyards, Woster also worked for Farmers Union and Commission Company and was a cattle buyer for Greenlee CattlePacking Co. during the late 1960s and early 70s. For 13 years, Woster served as the market reporter for the Stockyards, and in 1981, he partnered with David Frankman with Olsen-Frandkman Livestock until his retirement 23 years later in 2004. Over the course of his career, Woster could often be found speaking at agricultural meetings, emceeing banquets, singing the National Anthem at events or promoting agriculture on the radio, in his columns and during his travels across the state. In his retirement, Woster enjoys spending quality time with his wife, Penny, his three children and five grandchildren; however, he’s still busy as ever promoting agriculture. He continues to write columns, do public relations work for SDSU’s College of Ag and Bio, Avera Health and South Dakota Corn. 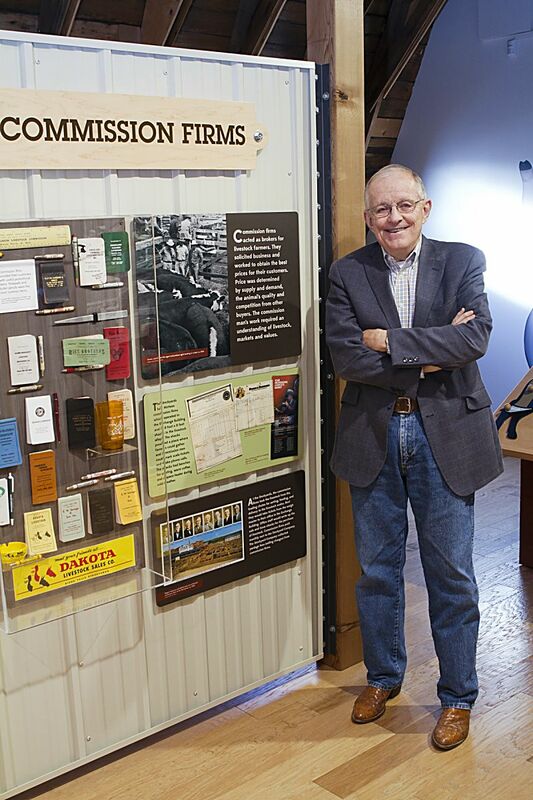 He’s also the founder of the Stockyards Ag Experience, a museum located in Sioux Falls that captures the rich history of the iconic and now closed Sioux Falls Stockyards, where Woster’s career in agriculture began. Currently, the Stockyards Ag Experience includes photographs, artifacts and interactive touch screens that teach visitors about the Stockyards. The kid-friendly exhibit attracts families year-round inside the barn located near Falls Park. However, Woster is working tirelessly to expand the exhibit to include a park on the 3.8 acres of land surrounding the facility. Looking back on his career in agriculture, Woster says it’s the people he’s met along the way who have made it so enriching. As the Agri-Business Citizen of the Year, Woster will be recognized by the Chamber at several events throughout the year. In addition to the Sioux Empire Farm Show, the Chamber also hosts Ag Appreciation Day at the Sioux Empire Fair in August and National Farmers Day in October at the Stockyards Ag Experience barn. Woster has been an active volunteer for the Sioux Empire Farm Show since 1971, and with the event getting underway next week, he’s excited to spend some time at the Fair Grounds visiting with old friends and peers in the industry.